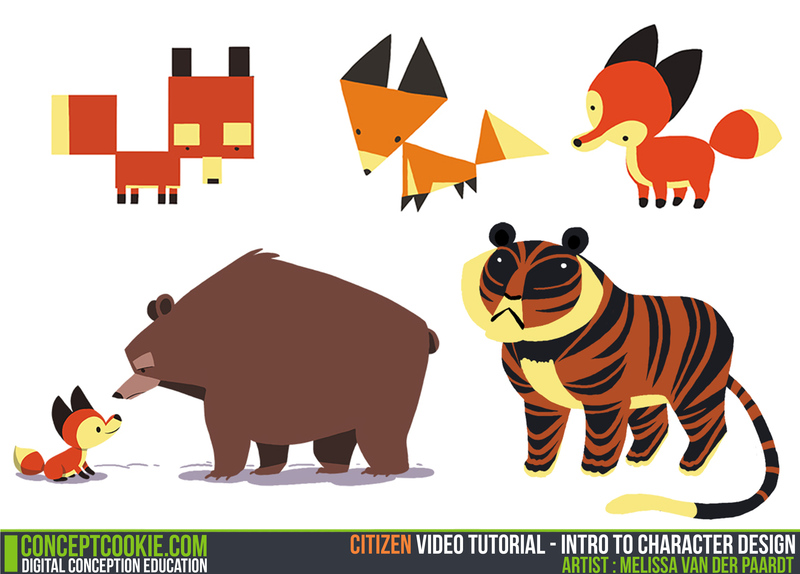 This tutorial is an introduction to the basics of character design. The topic of shapes and the effects they give to characters are covered, including which situations are best fitted for each. Patterns are touched upon as well, describing how the design shown on a character can affect where your eyes are led and the overall first impression of their personality. Contrast is also described as the theme that creates character, an example that a large character is only large when placed next to a smaller character.